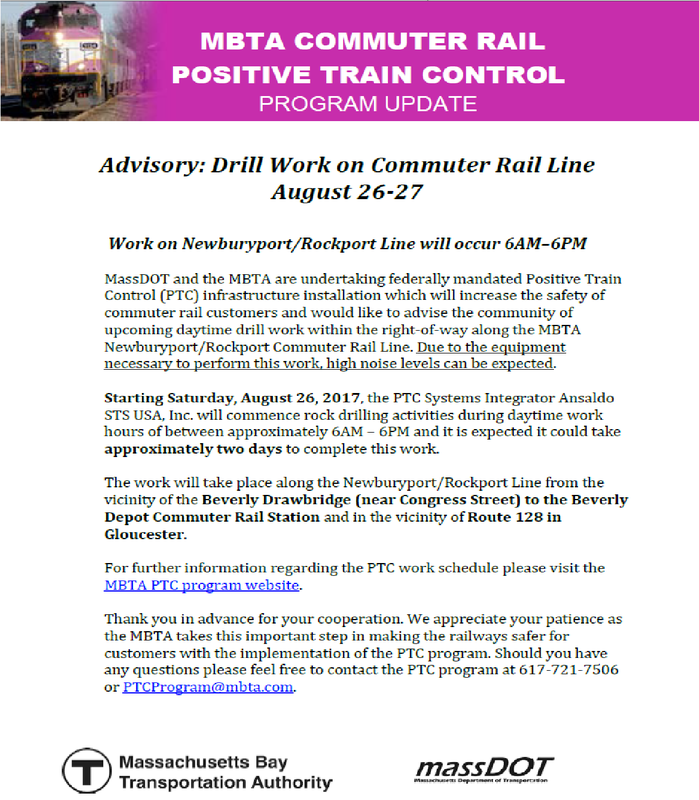 The MBTA continues working on the Newburyport/Rockport Line. 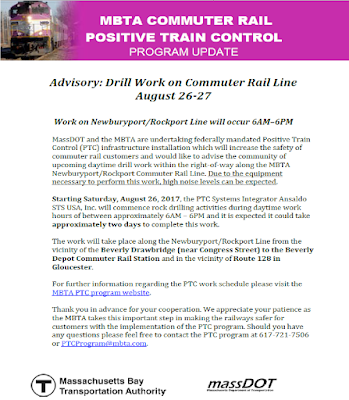 Today, they released the following advisory on their work schedule as they install the Positive Train Control (PTC)systems. This weekend will involve rock drilling work and should be the final weekend for this kind drilling work as it relates to PTC.